Pins were presented to members who had reached the milestones of 5, 10, 20, 30, and 40 years or more of service. Each year going forward members will be recognized who reach a specific anniversary year so some members who have 9, 19, 29, and 39 years of service this year will be recognized again next year for reaching another membership milestone. The distribution of pins was: 30 5-year, 31 10-year, 38 20-year, 21 30-year, and 17 40-year. 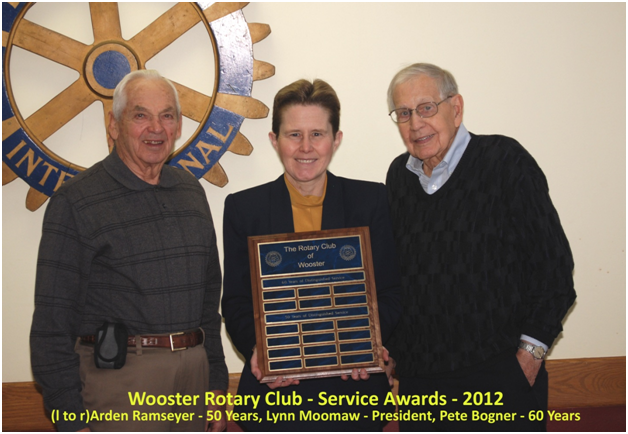 In addition there was one honorary and one current member who have over 50 years of service and one honorary and one current member who have over 60 years of service and their names will be displayed on a plaque in the meeting room.